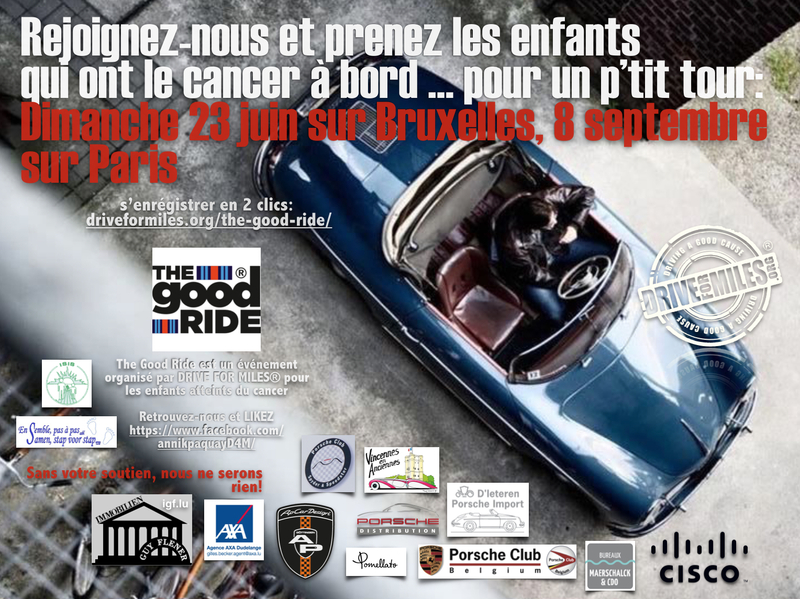 The Good Ride is an event for Porsche owners and drivers of awesome cars, this event is scheduled to travel to European cities and take children with cancer aboard. A boost for the kids, a day-out for their family. Drive for Miles® funds these events and also organize them. The Good Ride is a full day event. The children, their parents and bros & sisters are invited for a ride and for a subsequent lunch in a great venue with cars. After lunch, Porsche owners take a curvy ride and a final drink! click on the photo and subscribe to either one.